Following an urgent request for funding, World Land Trust (WLT) has made an eleventh hour donation from the Action Fund to save important habitat for the rare Santa Marta Parakeet in Colombia. 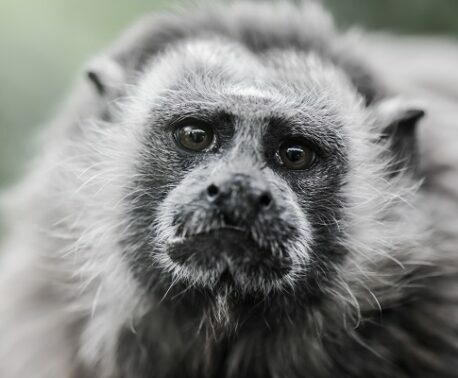 The funds were used by Fundación ProAves, WLT’s conservation partner in Colombia, to secure a property to extend El Dorado Reserve before the April deadline set by the property owner. American Bird Conservancy (ABC) had already made major donations to the appeal, and on ABC’s recommendation WLT acted quickly to release funds to complete the purchase. The land purchase will extend El Dorado by 148 acres (60 hectares), and ProAves has been keen to acquire the property for some time. El Dorado Reserve is located in Colombia’s Sierra Nevada de Santa Marta, an ancient and isolated massif in the extreme northern part of the country only a few miles from the Caribbean Sea. It is the only location on earth for the Santa Marta Parakeet. Santa Marta Parakeet is classified as Endangered by IUCN. Two other rare, endemic birds occur here: Santa Marta Bush-tyrant (Myiotheretes pernix), classified as Endangered, and Santa Marta Warbler (Basileuterus basilicus), classified as Vulnerable. 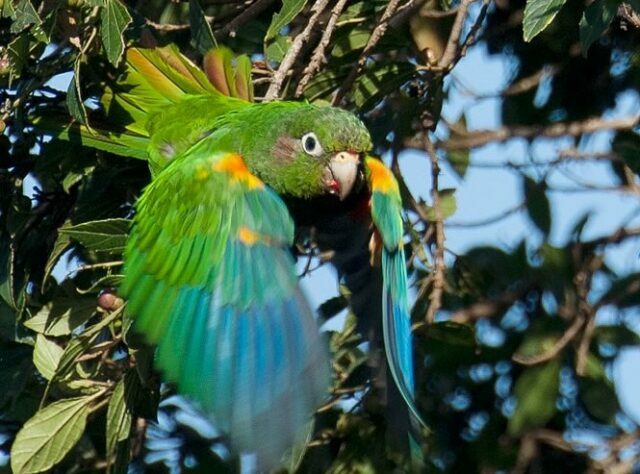 “World Land Trust is well placed to provide funding for urgently needed land purchases, and I am delighted that swift action on the part of the Trust in partnership with ProAves and American Bird Conservancy has saved this important habitat for Santa Marta Parakeets,” said David Wright, WLT’s Head of Programmes. Like many other reserves, El Dorado needs protection from intruders. In March 2015, for example, three bulldozers tried to enter the reserve in order to create roads (as a preliminary to illegally selling plots of land for holiday homes). Once news of the raid spread, the incursion was stopped by a crowd of more than 50 people, among them local residents and ProAves staff. With continued support from ABC, ProAves will hire an additional ranger to support parakeet monitoring and habitat restoration in the area where the parakeets feed and roost. While the 148-acre property is only partially forested, it supports an important concentration of the Ceroxylon ceriferum palms (commonly known as Andean wax palm) needed by nesting Santa Marta Parakeets. ProAves has already successfully bolstered the population of parakeets by installing artificial next boxes with funding from Loro Parque Foundation. The Sierra Nevada mountains are a vital stopover point for more than 40 species of migratory neotropical migratory birds that breed in the United States and Canada, many of which are declining, such as the Cerulean and Golden-winged Warblers. 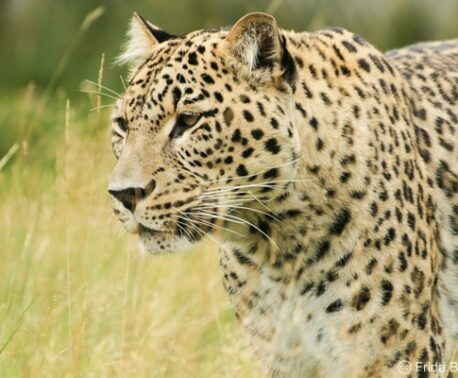 The Alliance for Zero Extinction, a global initiative aimed at halting species loss, has also recognised the site as essential for the survival of many threatened species found only in this area. Only 15 per cent of the Sierra Nevada’s original vegetation remains unaltered following decades of colonisation and agricultural expansion. Despite the mountain range’s location within a national park, encroachment and deforestation continue to fragment and degrade the sensitive montane forest ecosystems at the highest elevations of the massif. Compounding the problem is the fact that many of the endemic species only survive at elevations between 4,300 and 9,500 feet, where their range comprises fewer than 200 square miles. Deterioration of this habitat presents a real risk of extinction for many of these endemics. The area is also stronghold for several frog species: Atelopus laetissimus (Critically Endangered), Atelopus nahumae (Critically Endangered), Eleutherodactylus ruthveni (Endangered), and Eleutherodactylus insignatus (Endangered). You can help ProAves save more tropical forests in Colombia by donating to Buy an Acre.